This last Saturday, October 10th, I attended my first "Strut Your Mutt" 5k dog walk and run in Los Angeles. 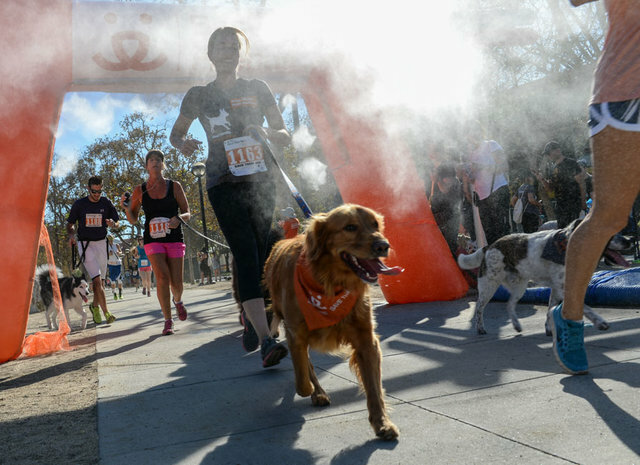 This nationwide event, sponsored annually by Best Friends Animal Society raises money for shelters and rescue organizations around the country. My girlfriend and I, accompanied by our Miniature Schnauzer Axel, braved the 90 degree weather to complete the course around LA's Exposition Park. We "Strutted" in support of a local rescue Dogs Without Borders, of which I volunteer as a photographer. Together our group raised over $26,000 dollars for the organization. Despite the unusually hot weather, everyone had a great time! Axel met some new friends, got some exercise, and felt good supporting the cause of ending the killing of dogs in America's shelters.